Drive, passion and an innovative approach – three of the key ingredients that distinguish the companies that have been named in the 100 South West Business Challengers listing. The featured businesses come from a diverse background, but have all displayed the kind of attitude to develop new concepts and go head-to-head with their market leaders and succeed despite fierce competition. The south west region, of course, covers a vast area, stretching as far east as Swindon and Bournemouth, as well as beyond Bristol up to Gloucestershire. Nevertheless, no fewer than 14 Cornish companies have been featured within the campaign including Business Cornwall publisher Tonick – which, according to Business Link chief executive, Adam Chambers, emphasises the enterprise, creativity and innovation that are very much alive and well in the Duchy. He says: “From the outset, the campaign’s guiding principle has been to inspire and encourage small and growing businesses across all sectors and from all areas, using the practical experiences of visionary and dynamic companies who continue to set the standards for success in their specialist fields. Sound financial management has underpinned the impressive expansion of Seasalt Cornwall in Penzance and enabled the company to further build its reputation for ethical working practices. Today, Seasalt Cornwall not only has 11 stores throughout the county and the south west, it also has a burgeoning fashion brand that sells across the world. Clayworks is a Helston-based building services company at the forefront of the sustainable building revolution. Formed nine years ago by Adam Weisman and Katy Bryce, the company is rising to the challenge of carbon-neutrality by returning to traditional values and specialising in traditional materials. Callington-based Cornish Crisp Company has quickly established itself thanks to its commitment to product quality and support for local suppliers and local causes. Set up by Sue Wolstenholme, the new enterprise manufactures crisps made from high-quality Cornish potatoes and produces a growing portfolio of flavours, each of which supports a different Cornish cause or charity. 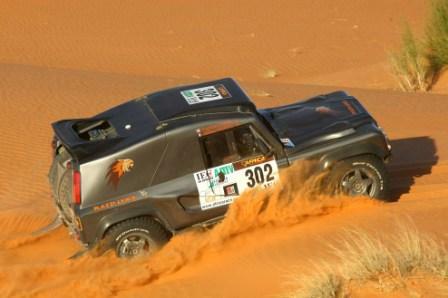 With enthusiastic supporters across the globe, the company has built its international reputation on technical excellence and the impressive performance of its Wildcat 4X4 off-road vehicle in the world’s most demanding rally competitions most notably when the vehicle claimed the first three places in the gruelling 3,000 km Pharaohs International Cross-Country Rally last October. A determination to create long-term relationships by adding value to its customers’ businesses is at the heart of Redruth-based IT and telecoms consultancy Piran Technology’s success over the six years since it was founded in 2004. A Microsoft Gold and Cisco Premier Certified Partner, together with HP, Avaya and BT accreditations. Rising to the new challenges and opportunities presented by digital communications and social media, Tonick Media’s expertise is in helping an ever-growing number of organisations to get the most from both traditional and digital media activities. The visionary Camborne-based company works with a wide range of Cornish public and private sector organisations, as well as with increasing numbers of businesses throughout the south west. 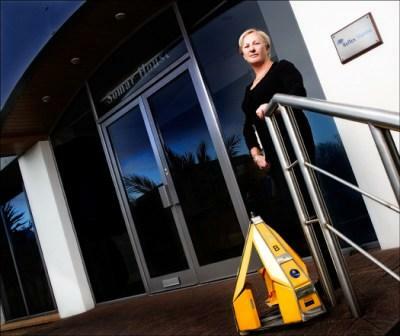 Truro-based Beacon company Somar International sells ‘intelligent environmental solutions’ worldwide through a network of distributors in 80 different countries and to customers across the UK via its own sales-force. The company continues to lead from the front in providing effective environmental solutions in a rapidly developing market. From his main studio in Penryn, Bjorn Thomassen is now one of the most sought after contemporary portraiture photographers in the country. With countless gold awards in his specialist field, Thomasen has become a regular speaker at major international seminars and now runs a programme of training courses for professional and aspiring photographers all over the world. 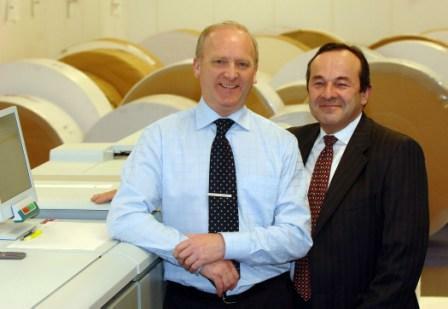 The dramatic growth of Padstow book manufacturer TJ International has not been by chance. It has adopted the principle of ‘excellence’ in all key areas of its operation to outperform its competitors and secure countless industry accolades. It now employs 125 people, has annual sales of some £12 million and achieves a profit margin six times greater than its industry average. With a reputation for the diversity and quality of its landscape architecture, garden design and public art, Mor has a strong commitment to involving in the creative process the people who will live with the resulting work. From the outset, the Falmouth-based multidisciplinary design practice continues to push boundaries in inspirational artwork without losing sight of commercial realities. Highfields School shows what can be achieved in even the most rigid and established of marketplaces. Personal determination, energy and a commitment to fulfil a known market need has seen the Redruth school grow in tandem with its burgeoning reputation for academic achievement, without conforming to traditional educational provision. With market-leading products and customers including most of the world’s leading oil and gas exploration and drilling companies, Reflex Marine is demonstrating the principles of effective leadership in everything it does. With a technical and development resource far greater than one would expect from a modest-sized business, product and service innovation continues to deliver impressive growth. In the field of precision engineering, few companies can match the service and product innovation that lies at the heart of the business model employed so effectively by Rigibore. A world-leader in every respect, the Hayle-based company has established a clear competitive edge which continues to deliver substantial commercial success. Developing and building on the success of an earlier business model has proved to be a winning formula for a St Ives-based photographic memento enterprise. A concerted and planned programme of rebranding and repositioning has established a huge market potential for ‘The Day That…’ with the result that sales are continuing to climb month-on-month.